May is National Lyme Disease Awareness Month, a chance for Lyme patients, activists and educators around the country to work extra hard to shine a spotlight on Lyme and other tick-borne diseases. Ticks are a very common parasite that feed on blood of pets and even humans. They thrive in warm, moist environments and for this reason they’re not as active during winter – however, because we are seeing milder winters due to climate change they are now becoming a problem in Winter. Climate change has led to milder winter weather, which means the ticks are available to remain active, so pets can pick them up all through the year. Ticks are from the spider family ‘acarids’ as they have 8 legs rather than 6 and there are known to be over 850 different species around the world. Their appearance can vary depending on species, gender and what stage of its life cycle the tick is at. For instance, the Ixodes tick, which is very common in the UK, is flat, oval and approximately 3mm in size as an adult, but after she has taken a blood meal and is engorged her appearance changes quite drastically – she will swell up and become approximately 11mm in size! Ticks are mainly found in grass and other vegetation in rural areas; woodland, moorland, parks and gardens. They will lie in wait until a dog or cat brushes past them and then attach themselves to the pet, their host, and begin to feast. Once a tick has pierced through the skin of their host the saliva cements them in and so removing a tick has to be done with care as if done incorrectly can come with its own problems. The complicated life cycle of a tick, particularly the Ixodes species, can take up to 3 years to complete – one year per life stage. However, if there are optimal climatic conditions then more than one stage may occur in a single year. 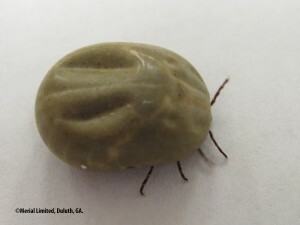 For a tick to complete its life cycle it may require up to 3 different hosts. Adult ticks will mate when they are attached to the host (males tend to die after mating) and then the female will drop off the host to lay her eggs. They can lay anything from 1,000 to 10,000 eggs at a time. Larvae will then hatch from the eggs and will be looking for a host (a small mammal at this stage i.e. bird/hedgehog) for its first blood meal. After feeding, these engorged larvae will again drop from the host and will take shelter in grass/vegetation where the larvae will then develop into a nymph. Once developed, the nymph will seek a host such as a rabbit or dog and when they have fed will drop off, take shelter in grass/vegetation where they can develop into an adult. The adult will look for a host such as a dog or a cat and the nasty, blood-sucking cycle begins again. How can I prevent tick infestations? To reduce the risk associated with ticks in dogs, there are a host of products and treatments available. Spot-on products such as Frontline can be applied every 4 weeks, and kill ticks within 48 hours, therefore minimising the risk of tick-borne diseases. 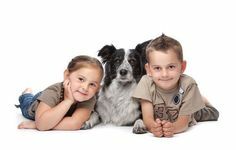 For best advice on how to best protect your pet from ticks and tick-borne diseases speak with your vet. When walking dogs, try where possible, to prevent them from wandering through long grass – particularly after it’s been raining. This may prove easier with some pets than with others. Terriers, for example, are hugely curious animals, bred to serve as ratters. They may therefore delight in running through the undergrowth, and are therefore susceptible to tick infestation. Long-haired dogs will also provide ticks with a hospitable environment, and so it’s vital that they’re protected. Ticks tend to transfer themselves to pets by contact with long grass. Consequently, the location of the ticks will depend to a large extent on the size of your pet. On taller dogs, you’ll tend to find them on the feet, abdomen and face. Cats and smaller dogs, on the other hand, might be totally immersed in long grass, and so the ticks might end up anywhere. 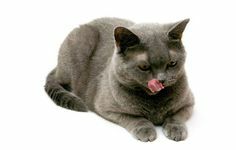 Check your dog and cat regularly for parasites. When looking/feeling for ticks you may notice patches of red, irritated looking skin or you may feel a ‘bump’ when you stroke your pet. The red, irritated skin will most likely be a bite site and the tick may already have dropped off after feeding. If you notice the ‘bump’ when stroking your pet, it is likely that the tick is still feasting. 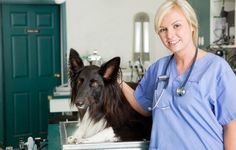 It is important that owners of long haired or thick coated pets check them thoroughly as ticks will burrow low down in the fur next to the skin. How do I remove ticks? You can manually remove the ticks yourself using a special device called a tick hook, or a pair of tweezers. When you’re doing this, you should be sure to be careful. Grasp the tick as close to the pet’s skin as possible – but be careful not to pinch the skin. Then twist and pull the tick outward in a single smooth motion. Be wary of the risk of breaking the tick into pieces. Leaving the head of a tick inside your pet may lead to complications, such as infection. There are a number of tick-borne diseases that can be passed from the tick to the host (you or your pet) during feeding. The most common disease, in the UK is Lyme Disease. Pets that have Lyme disease can show symptoms such as lameness, loss of appetite and/or fever. It is important that if you notice any of these signs, at any time, get your pet to the vet for a thorough check up. Humans bitten by an infected tick can contract Lyme disease causing flu-like symptoms, rashes, headaches, chronic arthritis and neurological symptoms and the disease can potentially be fatal. A disturbing tick-borne disease which has made a startling appearance here in the UK is Canine Babesiosis. Until recently this disease was mainly found in mainland Europe but there have now been a number of cases reported in the UK two of which have been fatal. The dogs that were infected with Canine Babesiosis had never travelled abroad but had contracted the disease through infected Dermacentor ticks that had been picked up in the Essex area. There is a worry that the disease will spread to other areas of the UK. They look freaky! I’m off to check my dog now!